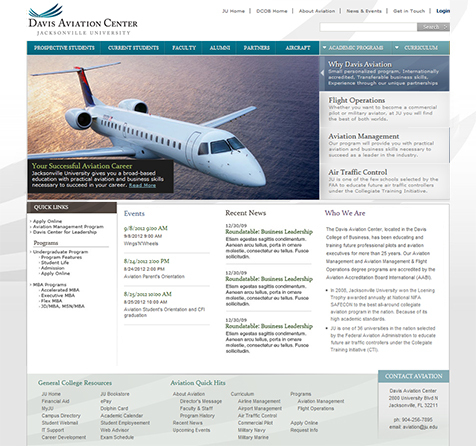 Station Four has partnered with JU on several different website projects, most recently for the Davis College of Business, the Aviation Program, and the David Leadership Center. We also bolstered online marketing to attract international students and amplified social media presence to build better connections with students. 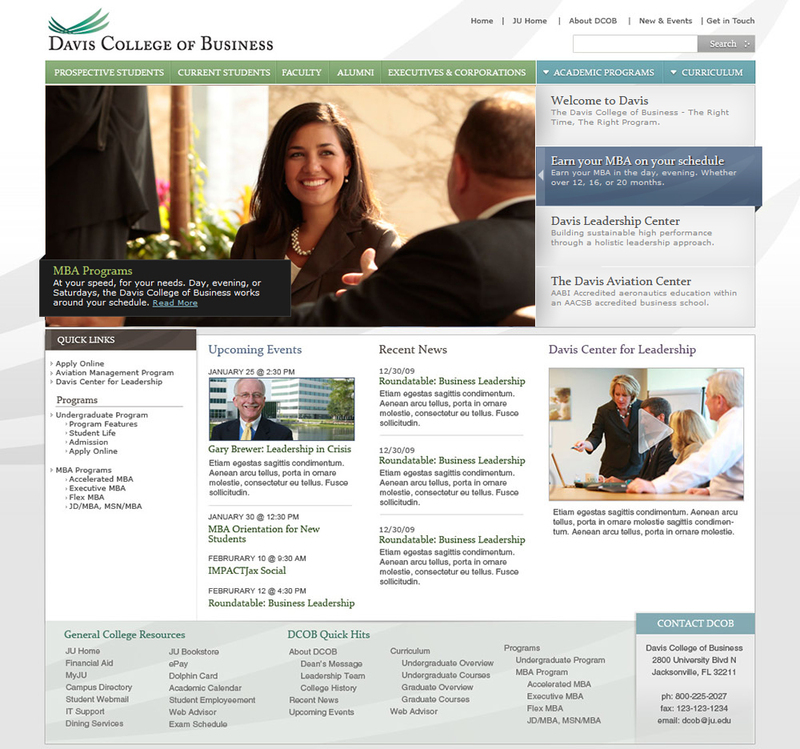 Being for the Davis College of Business, the website had a variety of different users: prospective and current students, faculty, and alumni. 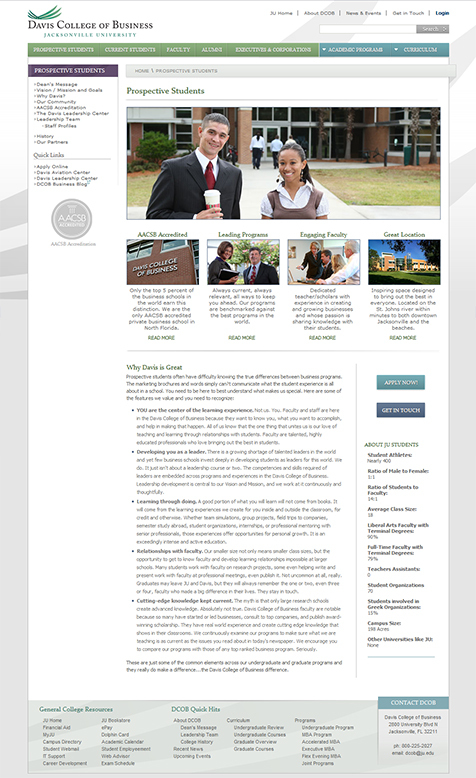 The website needed to allow for flexibility in communicating major messages and programs. The homepage banner is an area where this idea was implemented. 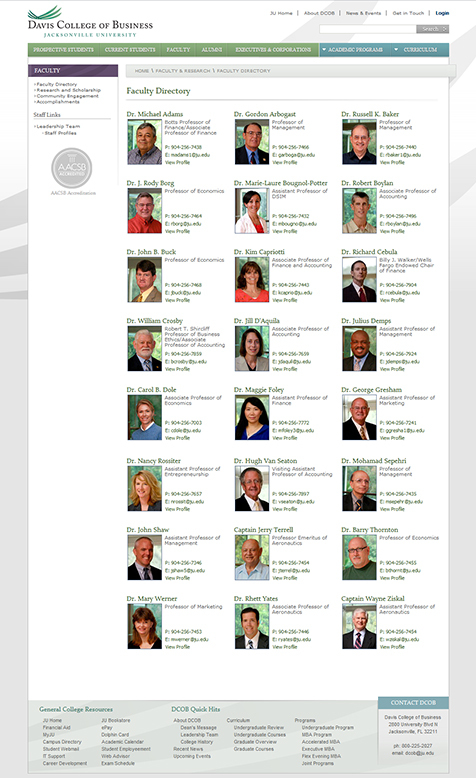 Between faculty bios, course curriculum, upcoming events, and various academic programs, there's a diverse set of information on the website. We designed a series of templates to accommodate them all. Then we integrated the website into the DotNetNuke content management system so the staff at JU can update and expand the website for years to come. Both the Aviation program and Davis Center for Leadership are housed under the Davis College of Business. 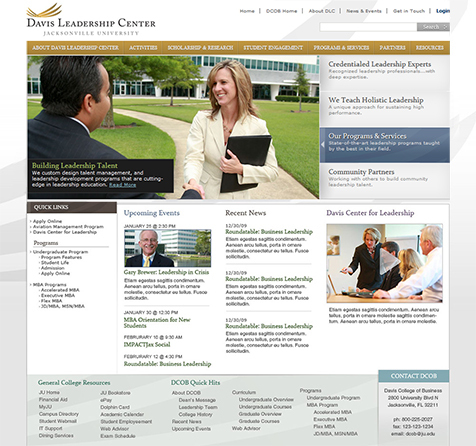 Using the design for the main DCOB website, we created separate branded websites that can all be administered and updated in one place.